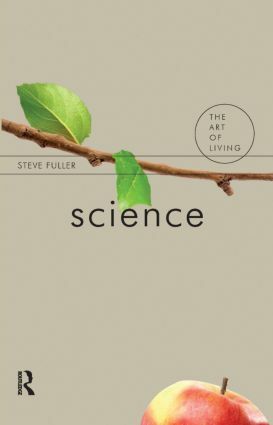 In this challenging and provocative book, Steve Fuller contends that our continuing faith in science in the face of its actual history is best understood as the secular residue of a religiously inspired belief in divine providence. Our faith in science is the promise of a life as it shall be, as science will make it one day. Just as men once put their faith in God's activity in the world, so we now travel to a land promised by science. In "Science", Fuller suggests that the two destinations might be the same one. Fuller sympathetically explores what it might mean to live scientifically. Can science give a sense of completeness to one's life? Can it account for the entirety of what it is to be human? And what does our continuing belief in scientific progress say about us as a species? In answering these questions, Fuller ranges widely over the history of science and religion - from Aristotle and the atomists to Dawkins and the neo-Darwinists - and takes a close look at what science is, how its purpose has changed over the years, and what role religion and in more recent years atheism have played in its progression. Science, argues Fuller, is now undergoing its own version of secularization. We are ceasing to trust science in its institutional forms, formulated by an anointed class of science priests, and instead we are witnessing the emergence of what Fuller calls Protscience' - all sorts of people, from the New Age movement to anti-evolutionists, claiming scientific authority as their own. Fuller shows that these groups are no more anti-scientific than Protestant sects were atheistic. Fearless and thought-provoking, Science questions some of our most fundamental beliefs about the nature and role of science, and is a distinct and important contribution to debates about evolution, intelligent design, atheism, humanism, the notion of scientific progress, and the public understanding of science.